It is Friday already and Christmas is not so far away anymore. While we are out there spotting Christmas shopping by bicycle, we introduce you with this lady. 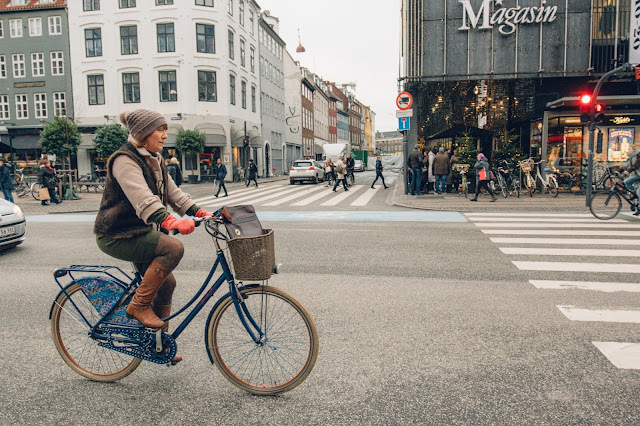 Earth tones, red gloves and blue bike. Suits so good. Together with Magasin Christmas decorations this picture shows the real spirit of this wonderful time. Peaceful and cozy!